Multivitamins are among the most popular supplements in the industry. Many people, from athletes to the everyday office worker, consume these products daily for a reason; the right multivitamin will provide you with the nutrients that you need to perform at your best and even help prevent illness. If you’ve searched for multivitamins online or in-store then you’ll know that there’s not only a huge amount of choice on the market, but a big difference in prices too – these products range from $5 to $60. So, what’s the difference between cheap & expensive products and how do you choose the best multivitamins? We’ll answer these questions and more in this article. Do men and women really need different products? This might be self-explanatory, but we’ll take a moment to explain for those that are new to supplements. Basically, multivitamins are made up from numerous vitamins and minerals that are known to be essential to boost general health and keep your body running optimally . When consuming new supplements, it’s always important to check whether they are safe. The good news is that the vitamins and minerals found in these products are proven to be safe for long-term consumption, as long as you don’t consume crazy amounts of them . Much like how coffee is known as being safe, until you drink too many cups and begin suffering from jitters. Basically, the quick answer is this: you can keep taking most multivitamins daily without worrying about any side effects. Just make sure to check the dosages of each nutrient in a multivitamin. What Nutrients do Multivitamins Contain? Generally, Multivitamins contain many of the same vitamin and mineral essentials. However, as you’ll find out a little later, you get what you pay for; the more premium multivitamins include less chemically synthesized nutrients, instead containing more natural versions that are absorbed much better by your body. Everyone knows about the most common vitamins and minerals. However, you might not have known that there are 2 different groups of vitamins – water-soluble and fat-soluble. What’s the difference? Well, water-soluble vitamins possess almost zero risks. This is because your body will remove the excess amount that you consume (which probably answers the question of why your urine is very yellow after consuming cheap multivitamins). As a result, there’s not really any need to keep an eye on the dosages of water-soluble vitamins, although you don’t want to pay more for bigger dosages than your body requires. On the other hand, your body has a much harder time removing excess fat-soluble vitamins; this can lead to a build-up of vitamins, which can be harmful to your health. That’s not to say that you should avoid fat-soluble vitamins, though – they can be extremely beneficial when consumed in the correct dosages . 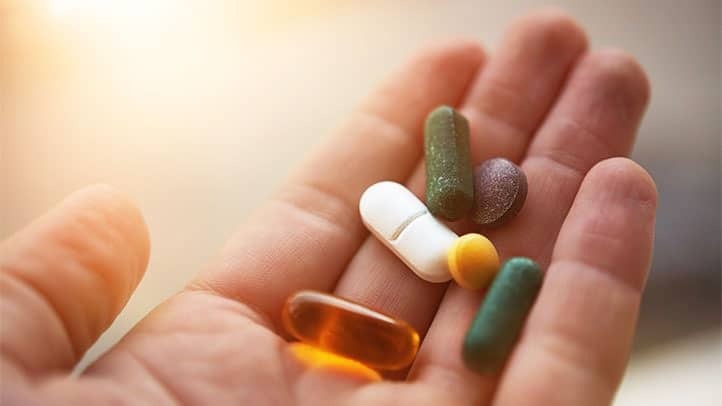 Ultimately, you should ensure that the multivitamin supplement you choose contains lower dosages than the amounts shown above to be safe from any adverse effects. It’s common knowledge that multivitamins improve your general health. However, there are many other benefits that these supplements can deliver that you might not have known about. While improvements in concentration and memory might not be the main reason people buy multivitamins, numerous clinical studies have shown its ability to deliver this benefit. For example, a study by Harris E et al., researched the effect of a multivitamin on cognition in older men. The results determined that “daily multivitamin supplementation” had a positive effect on the cognition of the subjects. One study by Neuhouser ML., et al aimed to research the relation between multivitamins and heart disease. To do this, a large number of participants were followed closely. The results showed a reduced risk of cardiovascular disease after consistent multivitamin consumption in the subjects. This is the most obvious benefit that multivitamins offer. It’s also the main reason why countless men and women around the world choose to supplement with these products. As a result, taking a premium multivitamin supplement that contains the essential nutrients really can help you perform at your best. Do Men and Women Need Different Multivitamin Supplements? If you’ve had a look at fat burners, testosterone boosters and pre-workout supplements, then you’ll know that there are tons of gender-oriented products. You know, the ones plastered with pink for women. But are gender dedicated multivitamins necessary? In the world of multivitamins, yes, because men and women require different amounts of certain nutrients. For example, studies have shown that women benefit from consuming more iron than men; this is because of numerous factors, including menstrual blood loss being the most common cause of iron deficiency in women  (obviously, something that doesn’t apply to men). We still don’t recommend choosing the products that only appeal to women purely because they come in pink packaging, though. Go for the more professional looking products and you’ll usually receive a better-quality product. We’ve mentioned that you’re spoilt for choice when it comes to multivitamins. However, not all of them are worth spending your hard-earned cash on. The cheaper multivitamins might offer a few nutrients at a low cost, but your body isn’t going to absorb those vitamins & minerals as effectively as in the premium options. After trying tons of different products, we believe that we’ve found the best multivitamin on the market: Performance Lab Whole-Food Multi. It’s really helped ease any concerns about trying to consume all the right micro-nutrients through my meals, which has saved tons of time and effort. Promotes health benefits for the mind and body – delivers at least 100% of the recommended daily values for 17+ essential vitamins and minerals. ‘Nature Identical’ vitamins and minerals – unlike with cheaper synthetic nutrients, your body treats Whole Food Multi as food, so all nutrients consumed are fully utilized. No potentially dangerous ‘mega doses’ – Performance Lab has ensured that their multivitamin is completely safe & side effects free by only including scientifically proven dosages of vitamins & minerals. Certified vegan, prebiotic-infused capsules – innovative ‘NutriCaps’ mean anyone can use Whole Food Multi and they are prebiotic-infused to ensure improved digestive health. 30-day money back guarantee – no-risk purchase due to being able to receive a refund if you’re not happy with it. Premium price-tag – at $40 per bottle it costs more than budget multivitamins, but there are discounts on multi-box purchases available to make them more affordable. Free shipping only available with orders over $200 – tracked worldwide delivery costs $14.95 per order. Performance Lab has clearly spent a lot of time researching as they offer gender unique versions of their multivitamin; they’ve checked all the right boxes, such as adding a slightly higher dosage of iron in the women’s formula. More importantly, Performance Lab don’t use any synthetic nutrients in their Whole Food Multi formulas for men and women. They’ve created their own ‘BioGenesis’ system to grow vitamins and minerals themselves. Not only is this pretty cool, but it enables your body to recognize these nutrients as food, meaning they’re absorbed and used straight away (not wasted through your urine…). We couldn’t find any better multivitamin formulas on the market and Performance Lab Whole Food Multi has become a staple in our lifestyle. It’s the small things, such as the vegan-friendly, prebiotic-infused capsules that we haven’t seen in another multivitamin before, that make a huge difference – this product has ‘quality’ written all over it and it’s certainly benefitted us. The multivitamin we take and recommend (Performance Lab Whole Food Multi) is a premium product as its price indicates. As a result, we wanted to explain the main differences between budget and premium multivitamins, so you know why it’s worth spending the extra money. This is the biggest difference, which is pretty important as the ingredients help determine a multivitamin’s quality, safety and effectiveness. Cheaper products contain synthetic forms of vitamins and minerals that are missing cofactors and enzymes that are often consumed with nutrients in food. This results in your body getting rid of a lot of nutrients after taking cheap multivitamins – meaning your body doesn’t fully utilize them. However, more premium supplements contain higher quality vitamins and minerals to help your body absorb and use them. Ultimately, this is a key factor and helps justify the higher prices of premium multivitamins such as Performance Lab Whole Food Multi. If you look at the supplement facts for multivitamins that cost under $20, you’ll notice that they usually contain around 10 nutrients overall. Well, premium multivitamins pack double the amount of vitamins and minerals. The likes of Performance Lab Whole Food Multi also include beneficial fat-soluble nutrients such as Vitamin D3, Vitamin K1 & 2 in optimal dosages while the cheaper products often don’t even contain them. Ultimately, while premium multivitamins are more expensive, they do offer many more nutrients in better dosages. Not everyone takes the time to research multivitamins and the differences between the vast range on the market. So, it’s no surprise to see people still buying cheap products from their local convenience store. However, once you learn about the huge contrast in quality of multivitamins, you soon realise why certain products cost more. 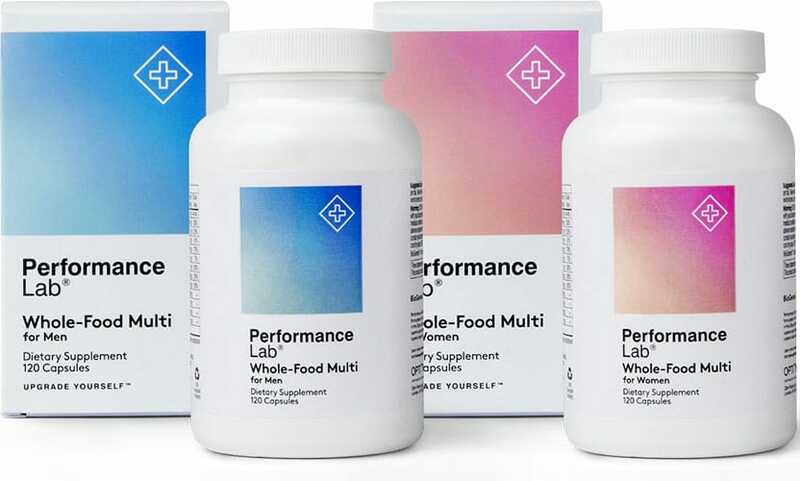 For us, Performance Lab Whole Food Multi has been the best multivitamin that we’ve tried. The fact that this company has created unique formulas for the requirements of men and women shows how much research they’ve completed. Mulholland, C.A. What is known about the safety of multivitamin-multimineral supplements for the generally healthy population? Theoretical basis for harm. Am J Clin Nutr. 2007 Jan; 85(1): 318S-322S. Shibata, K. Relationship Between Urinary Concentrations of Nine Water-soluble Vitamins and their Vitamin Intakes in Japanese Adult Males. Nutr Metab Insights. 2014; 7: 61–75. Mellanby, E. The Fat-Soluble Vitamins—Their Significance in Nutrition. Edinb Med J. 1933 Apr; 40(4): 197–222. Harris, E. Effects of a multivitamin, mineral and herbal supplement on cognition and blood biomarkers in older men: a randomised, placebo-controlled trial. Hum Psychopharmacol. 2012 Jul; 27(4): 370-7. doi: 10.1002/hup.2236. Baily, R.L. Multivitamin-mineral use is associated with reduced risk of cardiovascular disease mortality among women in the United States. J Nutr. 2015 Mar; 145(3): 572-8. doi: 10.3945/jn.114.204743. Abbaspour, N. Review on iron and its importance for human health. J Res Med Sci. 2014 Feb; 19(2): 164–174. Next articleCan CBD Oil Help With Depression?